This is “Case in Point: Kronos Uses Science to Find the Ideal Employee”, section 16.1 from the book Management Principles (v. 1.1). For details on it (including licensing), click here. You are interviewing a candidate for a position as a cashier in a supermarket. You need someone polite, courteous, patient, and dependable. The candidate you are talking to seems nice. But how do you know who is the right person for the job? Will the job candidate like the job or get bored? Will they have a lot of accidents on the job or be fired for misconduct? Don’t you wish you knew before hiring? One company approaches this problem scientifically, saving companies time and money on hiring hourly wage employees. Retail employers do a lot of hiring, given their growth and high turnover rate. According to one estimate, replacing an employee who leaves in retail costs companies around $4,000. High turnover also endangers customer service. Therefore, retail employers have an incentive to screen people carefully so that they hire people with the best chance of being successful and happy on the job. Unicru, an employee selection company, developed software that quickly became a market leader in screening hourly workers. 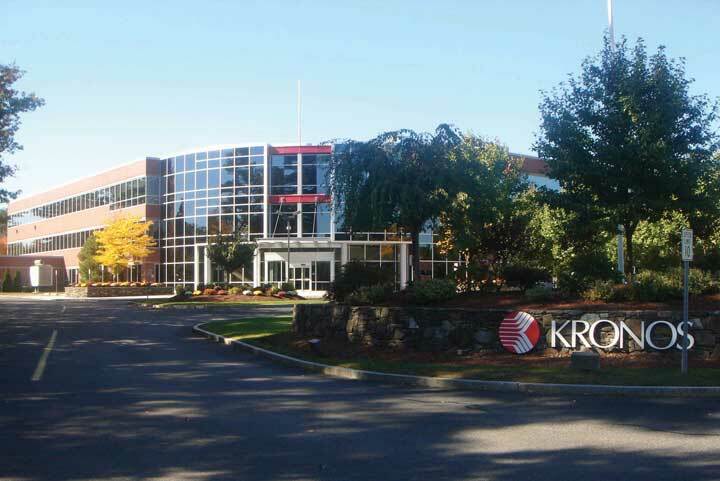 The company was acquired by Massachusetts-based Kronos Inc. (NASDAQ: KRON) in 2006 and is currently owned by a private equity firm. The idea behind the software is simple: If you have a lot of employees and keep track of your data over time, you have access to an enormous resource. By analyzing this data, you can specify the profile of the “ideal” employee. The software captures the profile of the potential high performers, and applicants are screened to assess their fit with this particular profile. More important, the profile is continually updated as studies that compare employee profiles to job performance are conducted. As the number of studies gets larger, the software does a better job of identifying the right people for the job. If you applied for a job in retail, you may have already been a part of this database: the users of this system include giants such as Universal Studios, Costco Wholesale Corporation, Burger King, and other retailers and chain restaurants. In companies such as Albertsons or Blockbuster, applicants can either use a kiosk in the store to answer a list of questions and to enter their background, salary history, and other information or apply online from their home computers. The software screens people on basic criteria such as availability in scheduling as well as personality traits. Candidates are asked to agree or disagree with statements such as “I often make last-minute plans” or “I work best when I am on a team.” Additionally, questions about how an applicant would react in specific job-related situations and about person-job fit are included. After the candidates complete the questions, hiring managers are sent a report complete with a color-coded suggested course of action. Red means the candidate does not fit the job, yellow indicates the hiring manager should proceed with caution, and green means the candidate is likely a good fit. Because of the use of different question formats and complex scoring methods, the company contends that faking answers to the questions of the software is not easy because it is difficult for candidates to predict the desired profile. Matching candidates to jobs has long been viewed as a key way of ensuring high performance and low turnover in the workplace, and advances in computer technology are making it easier and more efficient to assess candidate–job fit. Companies using such technology are cutting down the time it takes to hire people, and it is estimated that using such technologies lowers their turnover by 10%–30%. Case written by Berrin Erdogan and Talya Bauer to accompany Carpenter, M., Bauer, T., & Erdogan, B. (2009). Principles of management (1st ed.). New York: Flat World Knowledge. Based on information from Berta, D. (2002, February 25). Industry increases applicant screening amid labor surplus, security concerns. Nation’s Restaurant News, 36(8), 4; Frauenheim, E. (2006, March 13). Unicru beefs up data in latest screening tool. Workforce Management, 85(5), 9–10; Frazier, M. (2005, April). Help wanted. Chain Store Age, 81(4), 37–39; Haaland, D. E. (2006, April 17). Safety first: Hire conscientious employees to cut down on costly workplace accidents. Nation’s Restaurant News, 40(16), 22–24; Overholt, A. (2002, February). True or false? You’re hiring the right people. Fast Company, 55, 108–109; Rafter, M. V. (2005, May). Unicru breaks through in the science of “smart hiring.” Workforce Management, 84(5), 76–78. Strategic human resource management (SHRM) is included in your P-O-L-C framework as an essential element of control. Based on what you have learned about Kronos, how might SHRM be related to the planning, organizing, and leading facets of the P-O-L-C framework? What can a company do in addition to using techniques like these to determine whether a person is a good candidate for a job? What are potential complicating factors in using personality testing for employee selection? Why do you think that retail companies are particularly prone to high turnover rates? What steps do you take as a job seeker to ensure that an organization is a good fit for you?